On my second to last day, getting ready to walk with friends from home on the Downeast Sunrise Trail, I met reporter Maxwell Hauptman of The Ellsworth American. I had the pleasure of meeting with Don Corrigan of News Center Maine in Damariscotta on a Friday morning in July to talk about my walk as I passed through town. I participated in a virtual run that went from Cadillac Mountain to Mount Katahdin in Maine. You could see your avatar move along the route in the friendly competition. It was guaranteed that every time I would log miles, whether I ran around my neighborhood at home, hiked in the woods, or walked from New Jersey to Maine, words of encouragement were always given by other participants. I couldn't have asked for a more supportive group of people I didn't know. If you want to participate in the next virtual run, SIGN UP HERE! Log running, hiking or walking miles anywhere in the world, and see your virtual race avatar move from the top of Cadillac; along the 26 peaks of Acadia and the real-life routes of the Mount Desert Island Marathon & Half and Millinocket Marathon & Half; go by up to 6 sites associated with Stephen King; and finish on Katahdin, highest point in Maine. 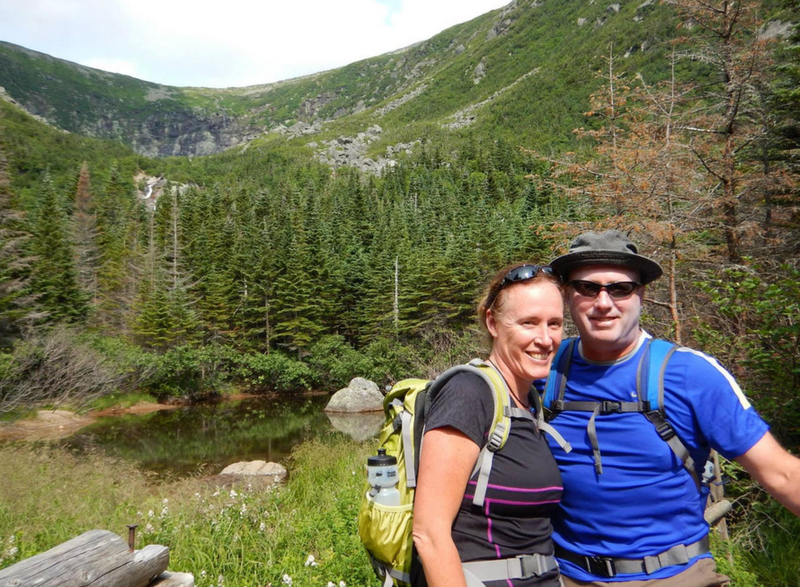 Help raise funds for Friends of Acadia, Millinocket Memorial Library and Our Katahdin. Earn a medal or two, and automatically be entered into a giveaway of Acadia, Millinocket and Stephen King-themed gifts. Co-sponsored by Acadia on My Mind and Mount Desert Island Marathon & Half and Millinocket Marathon & Half. Special pricing for racers in either of the real-life MDI or Millinocket races. Virtual race runs from July 20 to Dec. 8, miles can be backdated to July 20. In October 2016, for the first birthday that Michael was not here, I rallied people for the 1st Annual Michael Popper Walk. It was a three mile walk for all levels through Watchung Reservation, with family, friends and his hiking boot all in attendance. You may know that I have been the Editor for TAPinto Plainfield for quite some time now. Our corporate office gave me the okay to start a Jenn's Journey North column there. Here's how it all started. Note that the donation link in the East Coast Greenway story is to the old JustGive site. Since then, JustGiving bought that site. The correct link is here. When this story was published, I thought my walk would be around 450 miles, but I hadn't mapped it using the correct tool on Greenway.org. It's actually going to be closer to 900 miles! I know it's not "official" press, but this was put together and posted to thank all of my supporters in 2017, ever since I started my Jenn's Journey North initiative. There may be a few people missing; it wasn't intentional, please know that. There have been SO many people that it's been hard to keep track of everyone.